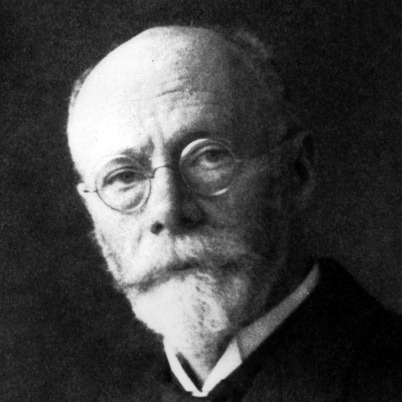 Willem Einthoven (1860-1927) had a long career as professor at Leiden University, from 1886 until his death in 1927. He was a physiologist with ‘strong clinical interests. To Einthoven the ultimate goal of physiology was to understand disease and to benefit patients. His main scientific interests were those of a physicist and naturally his most important contributions were related to the introduction of physical methods and concepts that could be relevant for clinical medicine. At the same time he clearly realized that the potential clinical benefit of research could only be determined after a period of study and experimentation; in 1906 he wrote a paper entitled “Het tele-cardiogram” (The tele-cardiogram) in which he stated: “We should first endeavor to better understand the working of the heart in all its details, and the cause of a large variety of abnormalities. This will enable us, in a possibly still-distant future and based upon a clear insight and improved knowledge, to give relief to the suffering of our patients.” These memorable words have lost nothing of their meaning today and indeed merit serious consideration in view of the increasing pressure to produce early results in research. In the first phase of his research career Einthoven probed into various subjects in the fields of vision and respiration but later he restricted himself almost entirely to electrical phenomena in physiology, in particular those related to the heart. To register electrical currents of the heart he started by using the “Lippmann electrometer” as Waller had done before him. Despite Einthoven’s improvements, this instrument failed to satisfy his high standards for accuracy so he soon felt compelled to design a new instrument, the string galvanometer. He achieved such perfection that many modern electrocardiographs, incorporating the latest technological developments in electronics, do not attain equally reliable and undistorted electrocardiographic recordings. Einthoven could not have done this without his characteristic unbounded capacity for concentration on the problems he was confronted with and an almost prophetic insight into the future clinical significance of the electrocardiogram. Today, the electrocardiogram having evolved into the most widely applied diagnostic tool in patients with diseases of the heart, it is difficult to realize that Einthoven, as he stated himself, still had to prove that diseases of the heart would lead to abnormalities recognizable in the electrocardiogram. In addition to setting the groundwork of this field by constructing the first instrument capable of accurate recording he developed a system of standardization which continues to be followed all over the world. The significance of this for the development of diagnostic electrocardiography can hardly be overestimated. Einthoven’s contributions to the field were recognized in 1924 when he received the Nobel Prize. lt is characteristic of his modesty that accepting the prize he pointed out that the development of electrocardiography had only been made possible by concerted efforts of many workers in this field, among whom he especially mentioned his British friend, Thomas Lewis.